Next Kamailio Advanced Training will take place in Berlin, Germany, Nov 22-25, 2010. Last stable series is 3.1.x (Oct 06, 2010, see release notes), continues the work done within SIP-Router.org project. 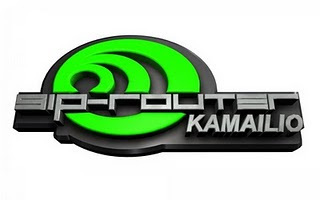 Among brand new features in v3.1.0, starting with the previous major version, 3.0.0, you can run mixed Kamailio (OpenSER) and SIP Express Router (SER) modules in the same SIP server instance, giving you the most powerful tools to build stable, very performant and features rich VoIP and Unified Communication platforms. The class is organized by Asipto and will be taught by Daniel-Constantin Mierla, co-founder and core developer of Kamailio SIP Server project. Today was announced the launch of Kamailio Business Directory. Courtesy of Kelvin Chua, CTO of NEXTIX, I received the slides presented at Astricon 2010 to the session “Asterisk, Kamailio, Openfire and Social Media Integration”. NextIX is an innovation company that specializes in universally available information and communication technology solutions for the consumer, SME, enterprise and government. It is a good and easy way for people to try a Kamailio based VoIP system on a physical server or a virtual machine. Kamailio v3.0.4 is out – a minor release including fixes in code and documentation since v3.0.3 – configuration file and database compatibility is preserved. Kamailio (OpenSER) 3.0.4 is based on the latest version of GIT branch 3.0, therefore those running 3.0.0, 3.0.1, 3.0.2 or 3.0.3 are advised to upgrade — there is no change required to be done to configuration file or database. Kamailio v1.5.5, a new release in 1.5 series, is out. Kamailio (OpenSER) 1.5.5 is based on the latest version of branch 1.5, including many fixes in code and documentation, therefore those running 1.5.0, 1.5.1, 1.5.2, 1.5.3 or 1.5.4 are advised to upgrade. This release marks the end of official maintenance for branch 1.5 by development team. That means no new packaging will be done for 1.5.x, but fixes can be added in SVN branch 1.5 repository. The development team officially maintain last two stable branches, these are now 3.0.x and 3.1.x. 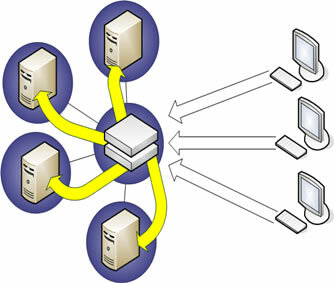 Many DID providers require to register to their servers in order to route the calls to your server. While the recommended way is to get a peering agreement where all calls to your block of DIDs are sent to the IP address of your SIP server, in some cases, like SOHO or SMB, you usually register to some VoIP services that offer free DIDs. Then is hard to get a peering agreement just for one or two DIDs. Normally you used such providers only for incoming calls, for outgoing you have a least cost routing system selecting the best route from many termination providers. The module takes care of sending REGISTER and refresh registrations before they expire. When calls come in, you have to run uac_reg_lookup() that will detect if the call is coming from a remote SIP provider and can change the R-URI to local username@domain. Afterwards you can run location lookup. Courtesy of Jon Bonilla, Kamailio's Debian APT repository is offering now the packages for version 3.1.0 as well as nightly builds from stable branch 3.1. Supported OSes are Debian Lenny, Squeeze and Ubuntu Lucid. call-load-based dispatching - the module can track active calls and select least loaded destination to distribute the traffic. Note that the module includes a light-weight call tracing system which works even in transaction stateless mode. There is no dependency on heavy modules such as dialog, making it suitable for embedded systems as well. The value of this parameter can be changed at runtime without restartion Kamailio. Summarizing, with the new weight and call load dispatching, the module offers now a large range of algorithms to select destination, from old ones I would mention: round-robin, priority level, random, hashing of SIP message attributes. you can hardly find a competitor to beat the performances and features of dispatcher module for SIP load balancing. Have a look at configuration file (located in /etc/kamailio/kamailio.cfg or /usr/local/etc/kamailio/kamailio.cfg) and you will be surprised to discover how easy is now to manage it and turn on/off features. Also, you can browse it online on our GIT repository. Kamailio 3.1.0 - a new major release of the open source SIP server - is scheduled for October 6, 2010. The amount of new feature is astonishing, it is the outcome of 7 months development made by Kamailio and SER teams. With blog series named "Best of New in Kamailio 3.1.0 ..." I try to detail some of most relevant new additions this release brings to light. Previous major version, 3.0.0, introduced for first time configuration file pre-processor directives that allowed to include files, define IDs and test their definition. It was one of the most appreciated additions in 3.0.0, allowing to structure better the configuration file, to enable or disable features with one single line change. Changing access to database requires now to update a single place, the define of DBURL. Note that defines and subst apply to all parts of configuration file, not matter are global parameters, module settings or routing blocks. Demand for secure communication increased lately. Caused or not by more and more attacks on VoIP systems lately, as well as better penetration of Instant Messaging and Presence in SIP networks, IP telephony providers look now seriously to offer full content protection as a service. Kamailio 3.1.0 is the first version that can be truly used for large scale full encrypted SIP communication engine. OpenSER (up to Kamailio 1.5.x) had more like a beta implementation, it was added for prototyping purposes and never improved, maybe also a result of missing TLS clients at that time. Previous version, Kamailio 3.0.x, had a completely re-architectured TLS implementation, inherited from SIP Express Router (SER) v2.1.0, which was designed for massive scalability. Still, the missing piece in 3.0.x was asynchronous support. This was added in 3.1.0. When providing services world wilde, with a centralized signaling platform and distributed media relays for optimizing voice path, one of the most important decisions to make is which media relay to use for best quality. One criterion is geographic location of caller and callee - discovering that at runtime is much better than static mapping considering the mobility of users. Kamailio 3.1.0's new module named geoip provides to configuration file an easy way to discover the location of caller or callee based on IP address. You can query a Max Mind GeoIP database and receive location details such as country code, time zone, a.s.o. Another beneficial result is to be able to drop traffic coming from specific countries that tried to attack your service or you don't have customers. This is very useful these days, in a time where spit and scanning attacks against VoIP server increases. Of course, this is an alternative to firewall method, giving you the opportunity to monitor (e.g., write in SIP server logs) if there are attempts of sending calls from such countries. Also, you can count attempts from a specific country and block the country for a while, everything done dynamically in your configuration file. GeoIP API is very easy to use, the module has one parameter to set the path to GeoIP database, then you can match any IP address (e.g., source IP, next hop IP, IP from Via, Contact or any other header) and store the results in as many containers as you want, then they can be used to compare any attribute between them or against config values.